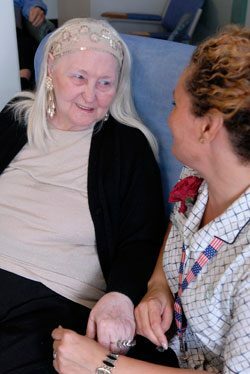 We have been caring people from a range of different cultures in our centres for many years and we appreciate that residents living in residential aged care centres live in a multicultural environment. Our aim is to cater to the cultures that are most common within our homes. At the Acacia Centre this is the Chinese, Greek and Portuguese communities, at Willowood this is the Chinese community and at Strathdale the Russian community. To make sure all residents feel at home we offer multilingual staff, a culturally appropriate menu and specifically designed activity programs. Here is some translated information that will assist understanding the admission process and Columbia Aged Care.